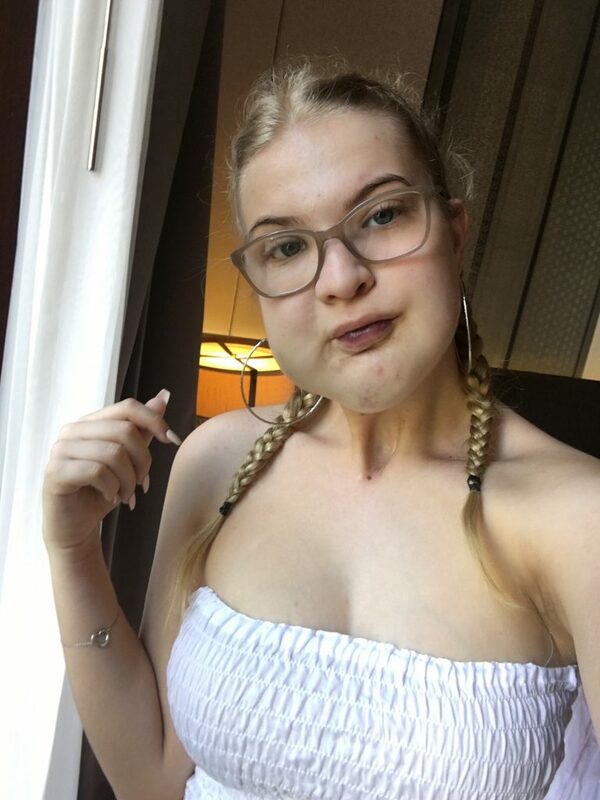 A teenager learns to love the large facial tumour that people confuse for having wisdom teeth out and have called her ‘blowfish’. 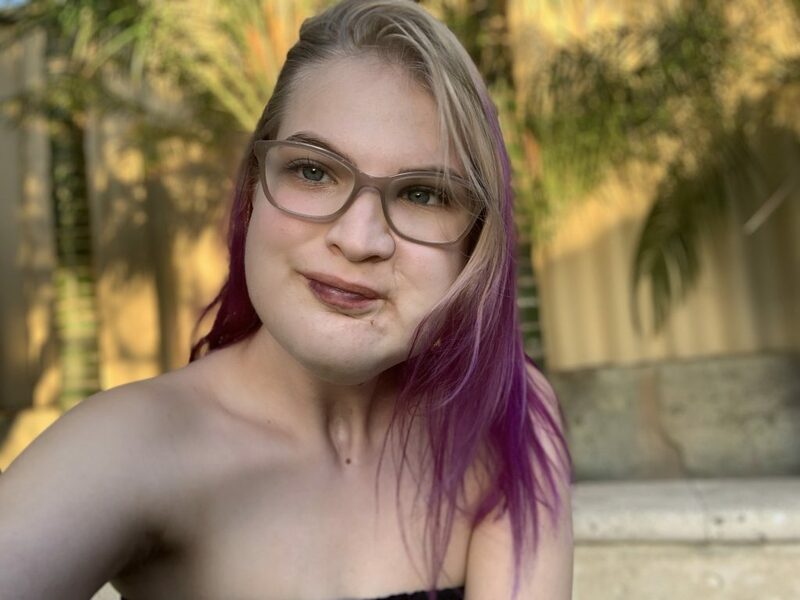 Phoebe McIndoe, 18, from Perth, Australia, has cystic hygroma which causes a grape-like swelling in her throat and chin. The mass was diagnosed at birth after the swelling hung from her neck and required a tracheotomy due to struggling to breathe. Over her lifetime she has had up to 16 treatments to reduce the size of the growth, and also lymphatic massages to help blockages pass. If an obstruction isn’t cleared, she can suffer an infection which has sent her to hospital more than 100 times to be treated with strong antibiotics. 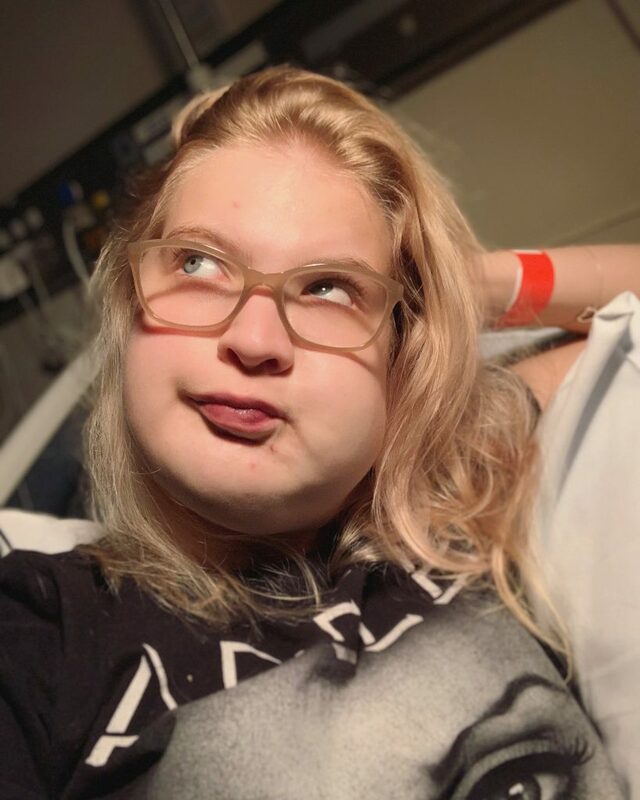 Growing up she was bullied, called ‘fatty’ and ‘blowfish’, and while it has stopped in early-adulthood, people often believe the swelling is caused by problems with her wisdom teeth. Phoebe also admits that strangers have wrongly believed she is ‘stupid’ or is ‘mentally challenged’ – even while working at her job as a pharmacist – because of her appearance. Despite the challenges, she believes if given the opportunity she would reject a ‘cure’ to her ailments as it wouldn’t make her who she is today. Phoebe said: “I had a very large share of bullying and name calling, comments that stem from people not knowing and instead stigmatising. “In primary school I was called everything from ‘fatty’ to ‘blowfish’ and many people thought I had a contagious disease which was horrible. “I grew-up not knowing why I was being excluded and why I had to be treated differently. “I’m not different to anyone else, there’s just a thing on the side of my face. “I know people make comments, even as an adult it’s very prevalent, at times people treat me like I’m mentally challenged or stupid. “My job is very intense and requires a lot of thinking, chemistry and maths, but customers think I’m just someone who sits out the back. “Some people have asked if I had my wisdom teeth taken out, it’s crazy, I would rather people ask me than be left guessing and wondering. “The first couple of times people asked if I had my wisdom teeth out, I was flabbergasted, sometimes it irks me still, so at times I say ‘I did’ – you have to have fun with it sometimes. “If someone come up and said, ‘I’ve never seen anyone like you, do you mind telling me about it?’ I would way prefer that. “Others have asked if a ‘magic cure’ came out would I make it go away and the answer is no. “The completely sensible answer would be yes, but part of me would say this is me and who I am, it would be like losing a part of myself and I wouldn’t want that. “I one hundred percent love who it’s made me and I wouldn’t be who I am without it. Phoebe was a few hours old when surgeons put a tracheotomy into her throat due to the constriction caused by her lymphatic malformation. She said: “I was struggling for breath so surgeons had to open a space in the my throat to put the tracheotomy in manually within a few hours of being born. “After I was diagnosed, they wanted to find a way to make it smaller as it was so considerably large. “I was injected with sclerosing agent, which did make it smaller, I had 11 rounds of this therapy before my first birthday. 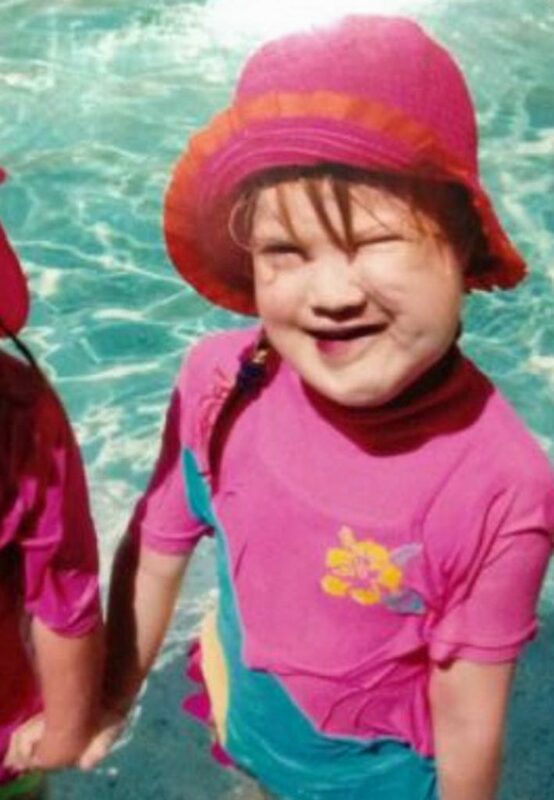 At six months, Phoebe would have her trach tube removed and her cleft palette fixed, as well as corrective eye surgery at four, which unfortunately didn’t work. 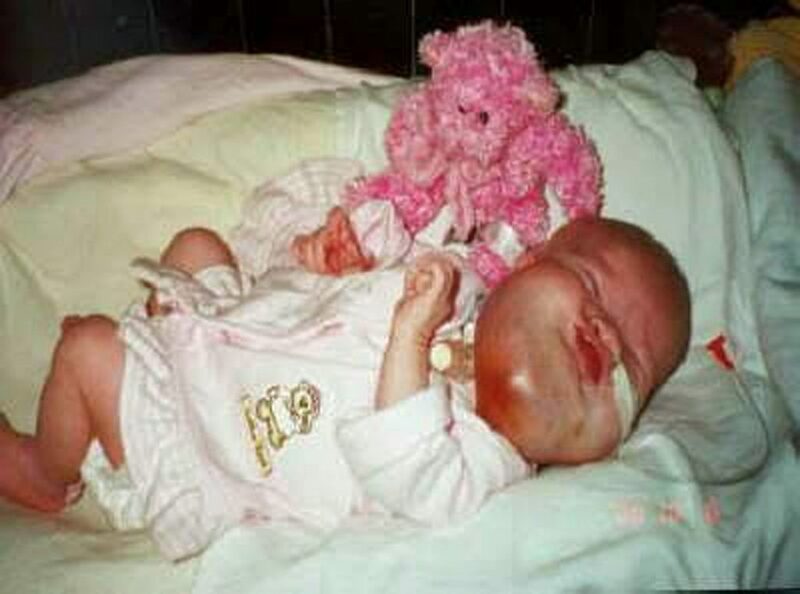 In her early teens, at her worst points she was hospitalised once every few weeks to deal with blockages and infections, which cause the malformation to swell more. 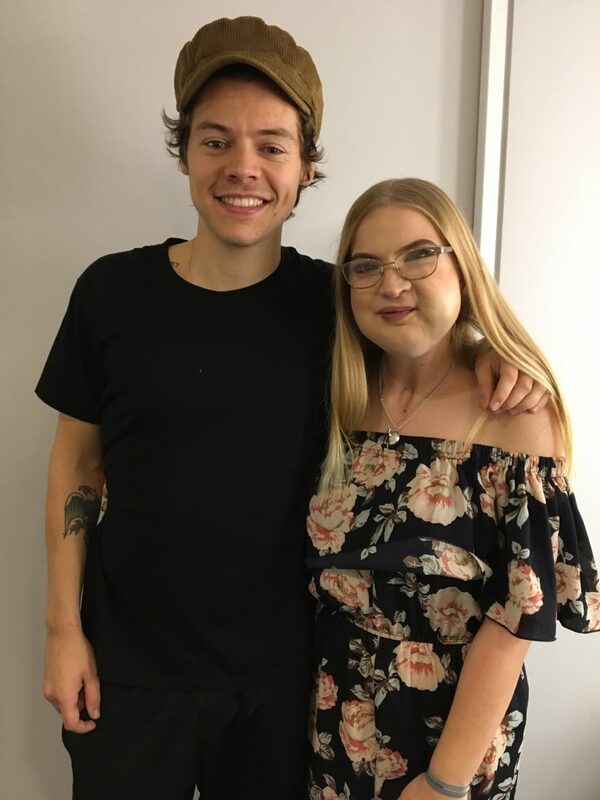 Phoebe said: “My cystic hygroma is a whole bunch of blood vessels filled with lymphatic nerve fluid and tissue, which gets blocked up and swells up. “Sometimes it can reduce with massage but other times I need general antibiotics to life the infection. While Phoebe has learned to accept her facial difference now, this wasn’t always the case. She explains: “When I was younger, I was all ‘Woe is me’ and hated it, I couldn’t understand why this was my world. “I was a big downer then, but I hit this point in life where I realised that I cannot change what has happened. “It did happen to me, I was chosen for this and I wouldn’t be who I am without it. Phoebe believes the support of her family and friends helped her to find more self-confidence. She also recommends reaching out to others online battling the same problems in forums and on social media. Phoebe said: “I’m so lucky that during the times when I was taking one step forward and two steps back that I had people to catch me. “It can be scary and really hard if you’re doing it on your own, I feel very lucky to have such a great support group. “One of my main hopes is to reduce the stigma and create an environment where everyone is comfortable. Phoebe hopes one day that people will ask her questions about her struggles rather than prejudging her. She added: “I know I look different to other people, but I can walk, talk, feed myself and all of my brain functions are normal. 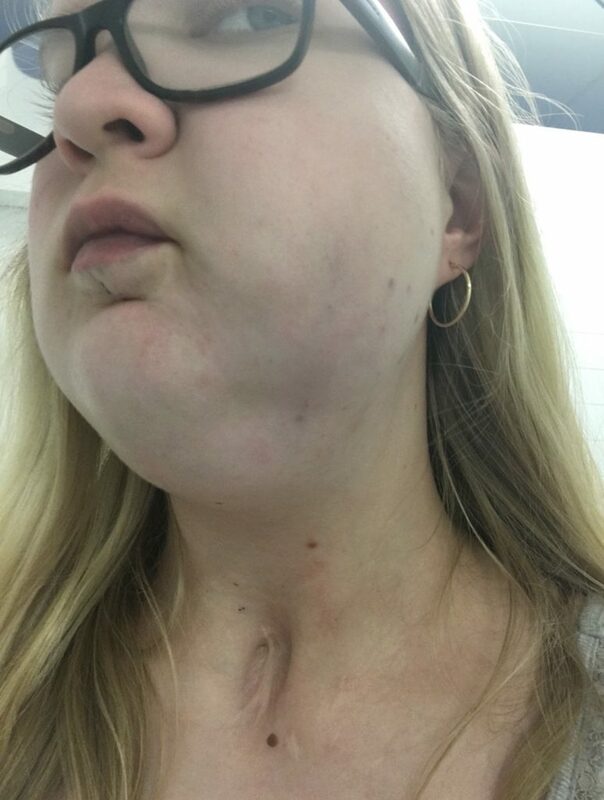 “I normally tell people I was born with a type of facial malformation, which is a tumour that affects me physically but not mentally.